Quality servicing in Stalybridge at highly competitive rates. If you are still going to the dealer for car service, despite the high costs and inconvenience, you are not alone. You may not be comfortable going to or dealing with smaller garages. You may also dislike the thought of using a garage where you are not confident about the quality of spares used or the knowledge of the mechanics. Finding the best garage for car service in Stalybridge is not as difficult as you think. Our service helps you find the right garage without searching for it. We have a network of garages that provide high-quality service at reasonable rates. These garages use high-quality spares and have trained mechanics and equipment to provide excellent service. We have already negotiated and fixed the rates for standard services. These rates are much better than the dealer rates. So, there is no fear of being overcharged. You can book a service easily in a couple of minutes by completing the online form on this page. Once we receive your booking, we will assign your car to the nearest network garage specialising in your vehicle make. You will get a call from the garage to decide on a time and location to collect your car. You can conveniently have the vehicle picked up from your home or office. There is no need to visit the garage. Your vehicle will be returned to you after service. You will also know the cost of the service upfront. Once you car is checked at the garage, the technician will call you to explain the nature of service required. At this time, you can also request for additional work. For additional work that is not part of a standard service, the garage will give you a quote. No additional work will be done without your consent and approval. Car washing and cleaning is included with all our standard services. The garage will also stamp your service booklet as proof of service. After the service, the garage will return the car and you can settle the bill online using PayPal or your credit card. All the prices are agreed in advance and your bill will have no surprises. You will also get good quality service at cheaper rates compared to the dealer. With us, there is no need to disrupt your day to get your car serviced. Periodic servicing at a good garage keeps your vehicle safe and efficient. We go by the service schedule specified by the manufacturer. You will find it in your vehicle manual. The type of service required depends on the distance travelled and the time elapsed from the previous service. It could be a minor, major or interim service. UK regulations require that you obtain an MOT certificate every year. The MOT test confirms that your vehicle is roadworthy and meets minimum safety and emission standards. 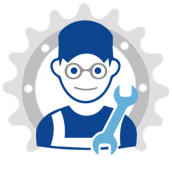 We perform MOT tests and cater to all types of car and van servicing and repairs. As your vehicle gets older, it may need occasional repairs. Our garage will perform all types of major and minor car and van repairs. Here are some repair jobs that we undertake. Cambelt change: The cambelt or timing belt is an important engine component. This rubber belt co-ordinates various engine components as it runs. Serious engine damage can occur if the cambelt fails. The belt wears out over time and must be checked when the vehicle becomes very old or has done a lot of kilometres. Brake Repairs: The brakes are one of the most critical components of your car. Driving a vehicle with an inefficient braking system is dangerous. The brake pads are checked and replaced if needed during routine service. However, other failures like leakage in the hydraulic system can also occur. Always get brake repairs done by a qualified mechanic. We also undertake other types of repairs like steering and suspension repairs, exhaust repairs, clutch replacement, head gasket replacement, diesel particulate filter cleaning and gearbox repairs. Car service in Stalybridge is no longer a problem. You have a far more sensible alternative to the expensive dealer garage. Complete and submit the online booking form and we will arrange the service for you. You will get high-quality service at competitive rates. 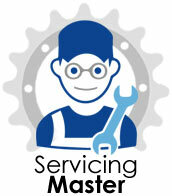 Book your service now to get your car serviced easily, economically and conveniently.